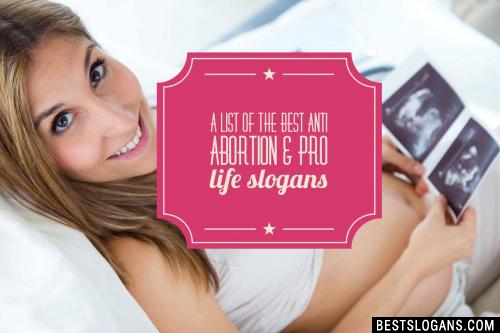 The best and most effective anti abortion slogans for posters, t-shirts or a campaign in your community. Get involved and help save babies! At its most basic level, the pro-life message is this: An unborn child is a human person whose life has value and deserves to be protected by our society. 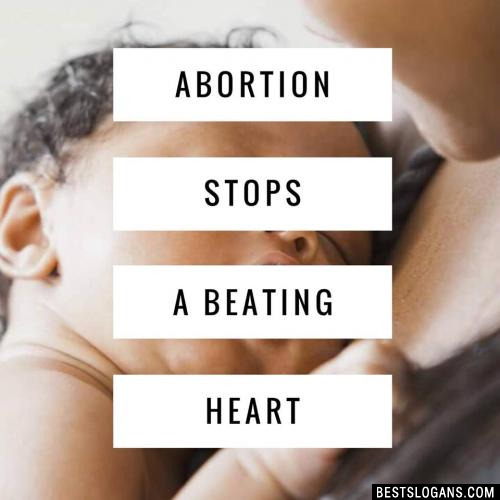 But we also have an important message to share about how abortion harms women and men and about how committed the pro-life movement is to helping women face untimely pregnancies and choose life for their babies. Ultimately, our message is a message of hope. We believe that, working together, we can transform our society into a place in which no mother will ever resort to abortion, and where every child, regardless of the circumstances of his or her conception, will be welcomed and loved. 1 You Have A Choice, They Don't. Choose Life. 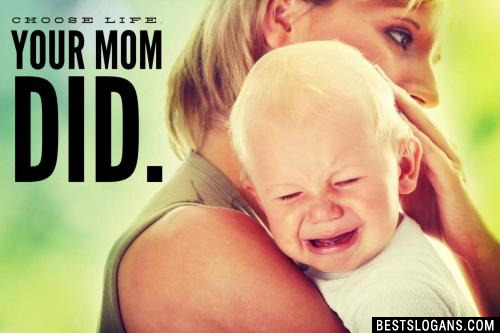 Your Mom did. 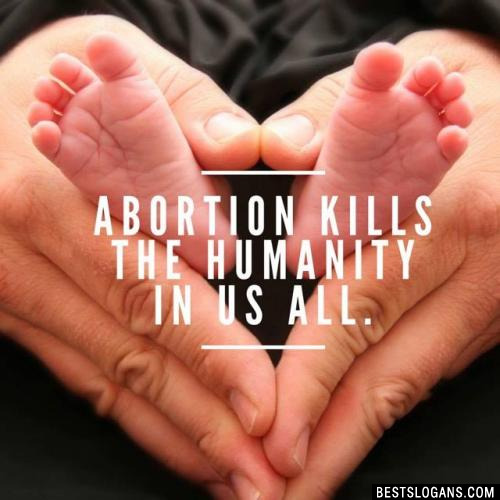 Abortion kills the humanity in us all. 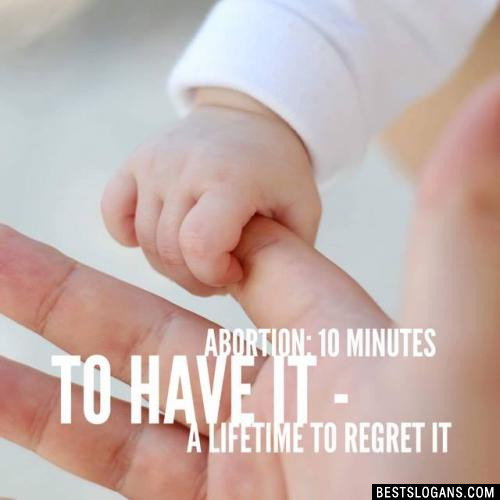 10 If abortion is the answer, it must be a really stupid question. 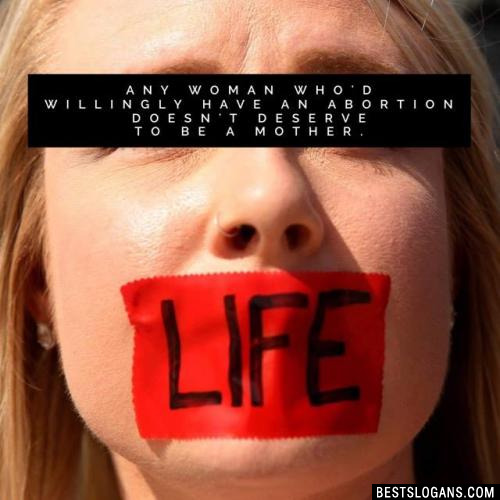 Any woman who'd willingly have an abortion doesn't deserve to be a mother. 15 Who will speak up for the little ones. 16 Every unwanted child a dead child. Doesn't sound so nice anymore, does it? 17 You might forgive yourself, but a dead baby sure can.t. 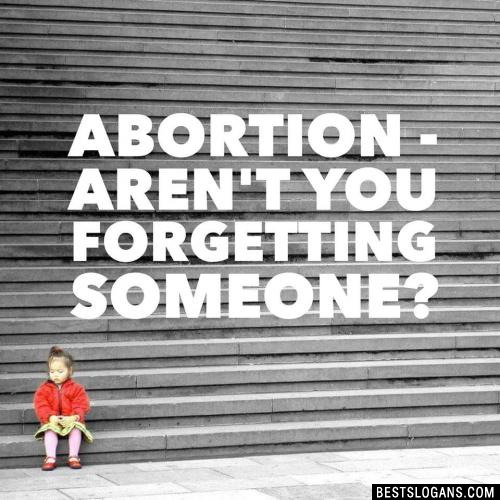 Abortion - Aren't you forgetting someone? 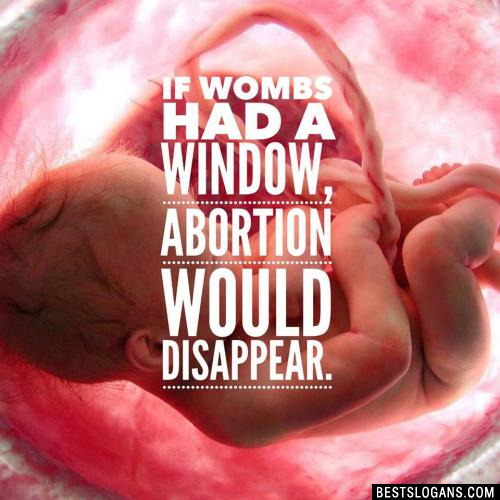 20 Abortion: The worst kind of child abuse. Can you think of a good Anti Abortion Pro Life Slogans we're missing? Or come up with a clever one of your own. Please share below.